Microsoft announced major upgrades to Azure networking capabilities, including the launch of ExpressRoute 100Gbps Direct, ExpressRoute Global Reach, and the general availability of Azure Virtual WAN. There are also enhancements to Azure Virtual Networks and DNS. The Azure Networking Fall 2018 update comes as part of the company's #MSIgnite conference underway this week in Orlando, Florida. Azure ExpressRoute Direct 100Gbps connectivity -- a first for a global cloud provider. ExpressRoute Direct with 100G connectivity provides massive data ingress for scenarios such as telemedicine, content distribution, and IoT. The service allows 100 Gbps of network traffic to be directed at Azure Storage and Azure Virtual Networks. The traffic can be on a single 100G ExpressRoute Circuit or the 100G can be subdivided by the customer's business units in any combination of 40G, 10G, 5G, 2G, and 1G ExpressRoute circuits. Microsoft notes that because ExpressRoute is for mission-critical workloads, ExpressRoute Direct, like ExpressRoute, provides physical connectivity via two physical routers in an active-active configuration. ExpressRoute Global Reach – allows enterprise customers to connect two ExpressRoute circuits together. 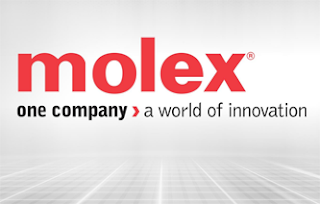 This allows sites that are already connected to ExpressRoute to now privately exchange data via their ExpressRoute circuits. Customers can thereby use Microsoft's global network to privately send traffic between their sites, for instance between London and Tokyo if both sites are currently served by ExpressRoute. ExpressRoute Global Reach is available in the following locations: Hong Kong, Ireland, Japan, Netherlands, United Kingdom, and the United States with Korea and Singapore coming soon. As Microsoft adds locations, it becomes more like a global carrier. Big expansion of the Azure Virtual WAN ecosystem. Microsoft is now recommending that Office 365 customers use local Internet breakouts to get onto Microsoft’s global network as quickly as possible and take advantage of the Office 365 distributed edge node ecosystem. The company has previously announced virtual WAN partnerships with Citrix and Riverbed. This has been expanded to include Virtual WAN solutions from 128 Technology, Barracuda, Check Point, NetFoundry, and Palo Alto. Coming soon Azure will include Virtual WAN solutions from CloudGenix, Nuage Networks, Silver Peak, Versa Networks, and VeloCloud. New Zone Redundant VPN and ExpressRoute Gateways -- customers are now able to deploy Azure VPN and Azure ExpressRoute gateways in Azure Availability Zones, thus making them physically and logically separate within a region to protect on-premises network connectivity to Azure from zone-level failures. Enhanced Azure Container Networking Interface (CNI) --a plugin brings Azure Networking capabilities to containers by utilizing the same SDN stack that powers Azure VMs. Containers can now connect to peered VNets and to on-premises over ExpressRoute or site-to-site VPN and access services such as Storage and SQL protected by VNet Service Endpoint. Network Security Group (NSG) and User Defined Routing (UDR) rules can be applied directly to containers. Azure CNI is utilized by the Azure Kubernetes Service. Azure Firewall enters general availability status -- this GA, offers fully stateful network and application level traffic filtering for VNet resources, with built-in high availability and cloud scalability delivered as a service. Customers can protect their VNets by filtering Outbound, Inbound, Spoke-Spoke, VPN and ExpressRoute traffic. At ECOC 2018, Intel announced new 100G silicon photonics transceivers targetted at 5G wireless fronthaul applications. The new transceivers are designed to meet the harsh outdoor conditions of cellular towers with the capability to support optical transport to the nearest baseband unit or central office (up to 10 km). 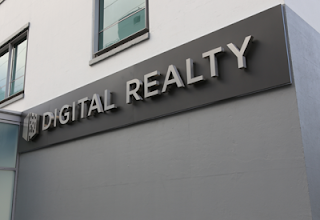 Commercial availability is expected in Q1 2019. “Our hyperscale cloud customers are currently using Intel’s 100G silicon photonics transceivers to deliver high-performance data center infrastructure at scale. By extending this technology outside the data center and into 5G infrastructure at the edge of the network, we can provide the same benefits to communications service providers while supporting 5G fronthaul bandwidth needs,” stated Dr. Hong Hou, vice president and general manager of Intel’s Silicon Photonics Product Division. Intel's first 100G silicon photonics product was introduced in 2016. The company says its 100G data center products are now shipping at a run rate of more than a million units per year. Intel projects the total market opportunity for its connectivity business, which includes silicon photonics, to grow from $4 billion today to an estimated $11 billion total addressable market by 2022. At ECOC 2018, Lumentum introduced its next-generation, contentionless MxN Wavelength Selective Switch (WSS), adding to its extensive portfolio of Reconfigurable Optical Add-Drop Multiplexer (ROADM) solutions for optical networking applications. 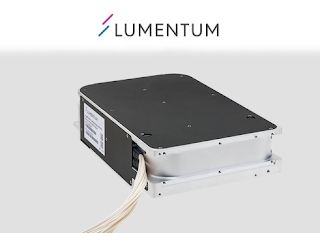 Lumentum's TrueFlex Twin 8x24 contentionless WSS delivers low loss, removing the need for Erbium-Doped Fiber Amplifier (EDFA) arrays in many network designs while enabling add/drop port scaling to support capacity growth in CDC networks. The WSS passband filters out wideband noise delivering high performance independent of port count and relaxes complex filtering requirements on transmitters and receivers. Eliminating EDFA arrays enables the delivery of higher density, lower cost, higher reliability, highly power efficient solutions. Commercial availability is expected in Q1 2019. "ROADMs have become critical network elements as they enable network operators to dynamically deliver and maximize network bandwidth on demand," said James Goodchild, director product line management, Wavelength Management products. "Current solutions which employ multicast switches are challenged to support the cost, density, and performance required by network operators in the future as they scale next generation Colorless, Directionless, Contentionless (CDC) networks. Only the contentionless MxN WSS, which takes a new innovative approach, provides the scale and performance benefits needed." Oclaro will begin sampling its high-density QSFP-DD solution, which uses this same 100G PAM4 EML technology in 4 lanes to enable an aggregated data rate of 425 Gbps. First samples are expected later this year and volume production is expected in Q2 2019. Oclaro said its new 400G QSFP56-DD FR4 transceiver will enable 36 ports of 400G per 1RU compared to only 18 ports of 400G with CFP8 (1st generation 400G modules). To ensure interoperability, Oclaro has been actively involved in the 100G Lambda MSA and QSFP-DD MSA. 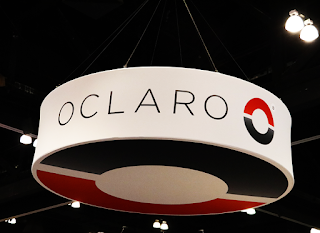 In August of this year, Oclaro successfully interfaced the transceiver’s mechanical housing with leading QSFP-DD connector and cage vendors at the QSFP-DD MSA mechanical plug fest. 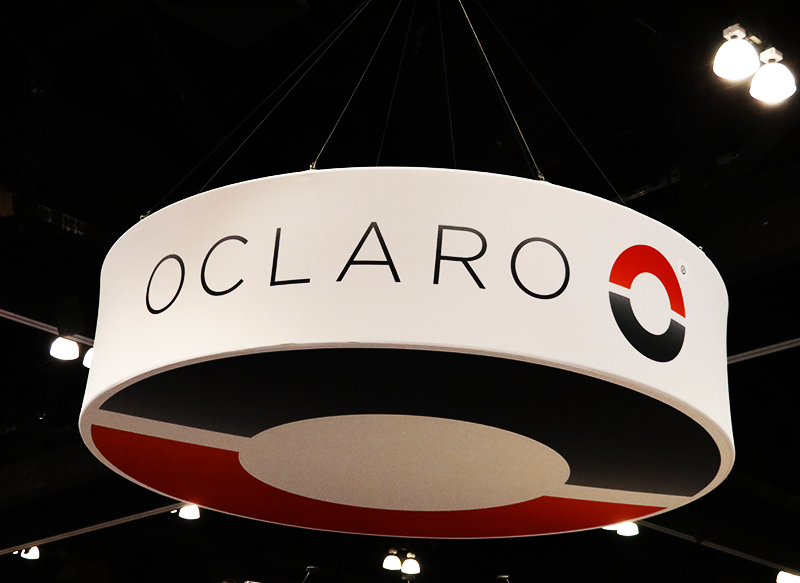 Earlier this month, Oclaro also participated with its 100G QSFP28-FR and 400G QSFP-DD FR4 transceivers in an interoperability test organized by the 100G Lambda MSA. Hot Z-pluggable to 76-pad QSFP-DD electrical connector so that transceivers can be installed or removed without affecting the rest of the network. This enables a “pay as you grow” model for 400G capacity increases. At ECOC 2018, Oclaro is demonstrating interoperability of its 100G PAM4 electro-absorption modulated laser (EML) technology integrated into the 100G QSFP28 form factor. Oclaro is participating in the plug fest organized by the 100G Single Lambda Multi-Source Agreement (MSA) (Booth #123). Dr. Andrea Ferrari, director of the Cambridge Graphene Centre, which is part of the University of Cambridge, presented research on wavelength tunable lasers in single-layer graphene. The technology shows potential for use in on-chip optical switches. 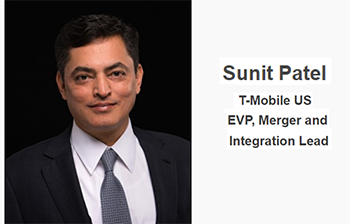 T-Mobile US announced the appointment of Sunit Patel as its new Executive Vice President, Merger and Integration Lead, effective October 1, 2018. Patel will lead T-Mobile’s strategic planning efforts to integrate its business with Sprint. The parties expect the transaction to close in the first half of 2019. Patel previously served as CenturyLink's Executive Vice President and Chief Financial Officer. He previously held the same role at Level 3 Communications for more than 14 years before the two companies merged in 2017. Before that, he was CFO and co-founder of Looking Glass Networks, a facilities-based provider of metropolitan telecommunication transport services. He was also previously Treasurer of MCI WorldCom, and Treasurer of MFS Communications, a competitive local exchange carrier acquired by WorldCom. Hawaiki Submarine Cable has selected Ciena’s GeoMesh Extreme solution based on Waveserver Ai and various packet-optical networking platforms to upgrade capacity on its new subsea network serving Australia, New Zealand, the Pacific Islands and the United States. 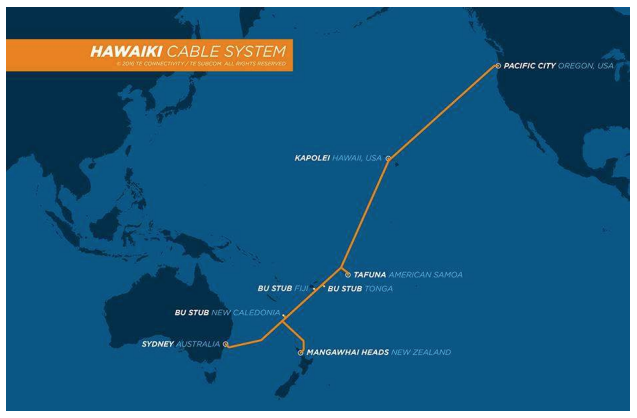 The 15,000-km Hawaiki cable, which began began commercial operations in July 2018, brought an initial 43.8 terabits per second of additional capacity to the market. Ciena said its GeoMesh solution will offer Hawaiki the lowest cost per transported bit, upgrading the cable to a cumulative 67 terabits per second in transmission speeds - a 53 percent increase of Hawaiki’s design capacity achieved just a few months after its commercial launch. The upgrade includes Ciena’s 6500 Submarine Line Terminating Equipment (SLTE) as well as the Waveserver Ai platform, both powered by WaveLogic Ai, Hawaiki can now scale from 1GbE, 10GbE, and 100GbE services over 200G and 250G wavelengths, offering a larger granularity of capacity products to its customers. Furthermore, deploying these platforms will provide greater flexibility to meet current and future bandwidth demand, including faster delivery and dynamic provisioning. Hawaiki is making its mark in the Pacific region by delivering greater connectivity, diverse routes and competitive pricing that are greatly benefitting local businesses and consumers. Ciena’s optical and packet networking platforms will serve as a great complement to Hawaiki’s already extensive submarine network, addressing and adapting to the modern requirements of a bandwidth-hungry environment.” stated Rick Seeto, Vice President and General Manager of Asia Pacific and Japan, Ciena. The Hawaiki transpacific subsea cable is now ready for service. Hawaiki is a 15,000 km fibre optic deep-sea cable linking Australia, New Zealand, the Pacific and United States. The system uses TE SubCom's optical add/drop multiplexing (OADM) nodes allows for additional landings in the Pacific region to be added as needed. Hawaiki will provide 43 Tbps of new capacity in the Pacific region. The system was built at a cost of US$300 million. Anchor customers on the new cable include Amazon Web Services, Vodafone, American Samoa Telecommunications Authority (ASTCA) and Research and Education Advanced Network New Zealand (REANNZ). “This 25-year transoceanic infrastructure opens the door for unprecedented levels of economic, social and research collaboration right across the Pacific,” said Hawaiki Chief Executive Officer, Remi Galasso. A new Open Data Initiative is being backed by Microsoft, Adobe and SAP with the promise of letting enterprises derive more value from their own data. The core focus is to eliminate data silos and enable a single view of the customer, helping companies to better govern their data and support privacy and security initiatives.